Marvel Select gives their take on one of Marvel's most popular villains. Spider-Man's longtime nemesis, Norman Osborne, has never looked more menacing, wearing a detailed, modern sculpt of the classic Green Goblin costumr. 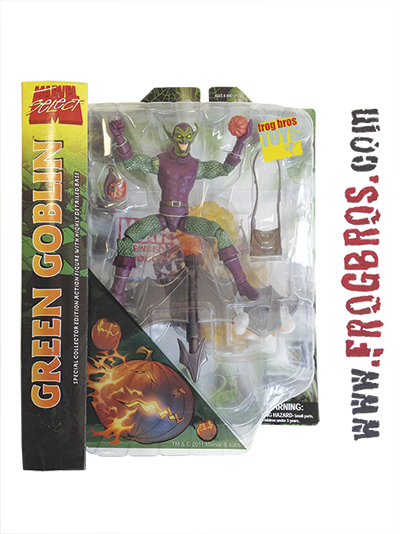 Equipped with Marvel Select's standard 16 points of articulation, this 7 inch figure can perch on top of his included base, a perfectly balanced Goblin Glider wrapped in smoke. 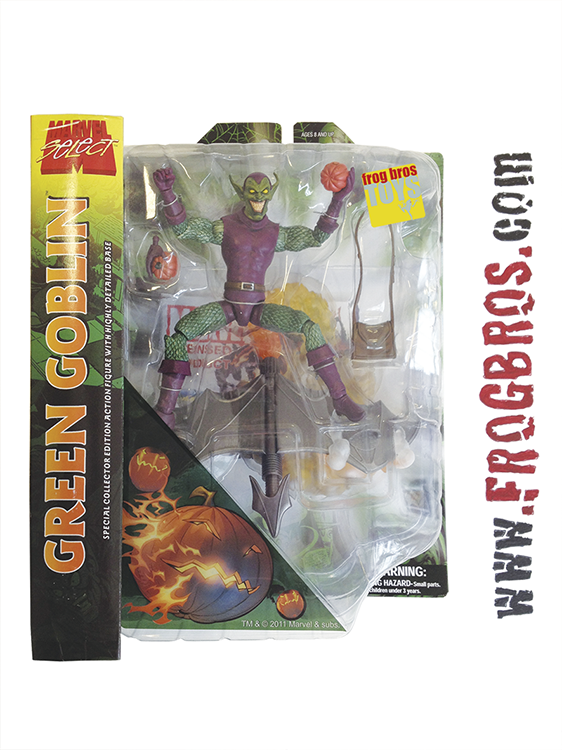 The Green Goblin comes in oversized collector packaging and is ready for display.